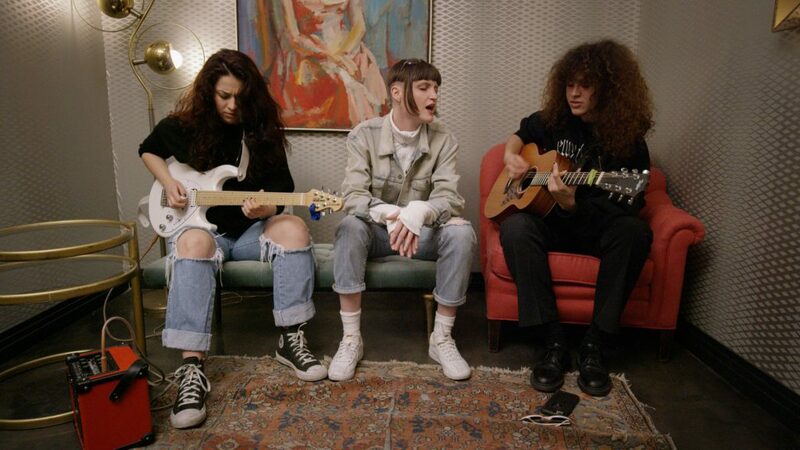 MUNA stripped down “I Know A Place,” their mobilizing electropop anthem, in this exclusive acoustic Ticketmaster Insider video. Beginning with Katie Gavin’s heartfelt vocals backed by Naomi McPherson and Josette Maskin’s mellow guitars, the song then crescendos into a rousing chorus. For this acoustic rendition, the L.A.-based group particularly channels the spirit of ‘60s and ‘70s songwriters Joni Mitchell and Yoko Ono. Speaking to Time Magazine in a recent op-ed, Gavin compared the song — which is written as an ode to the LGBTQ community — to Ono’s own activist anthem “War Is Over!” The comparison is certainly apt. As the song winds down, the three vocalists join together to croon its unifying, peaceful theme. In uncertain times, MUNA’s “I Know A Place” motivates listeners to keep on going in pursuit of a greater ideal. 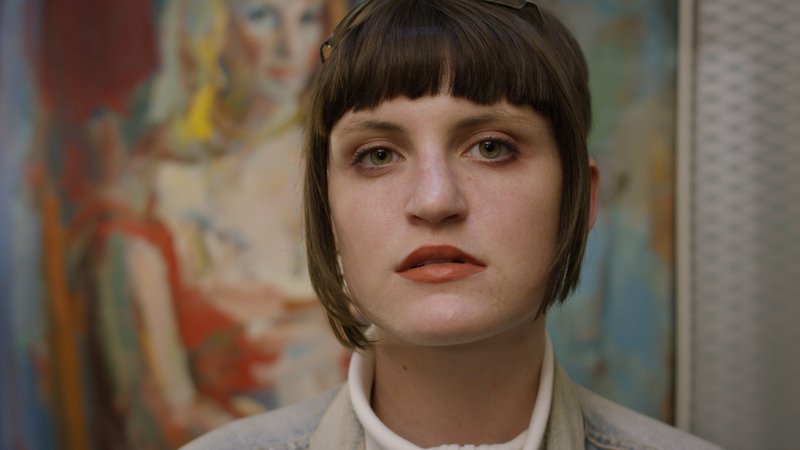 MUNA, who celebrated the release of their debut record About U on February 3rd, have an aptitude for delivering songs that are not only sonically pleasing, but meaningful and topical too. Possessing endless amounts of talent and a wealth of sincerity to match, these New Music Favorites are bound to be big.